The Church actively supports Christian Aid. 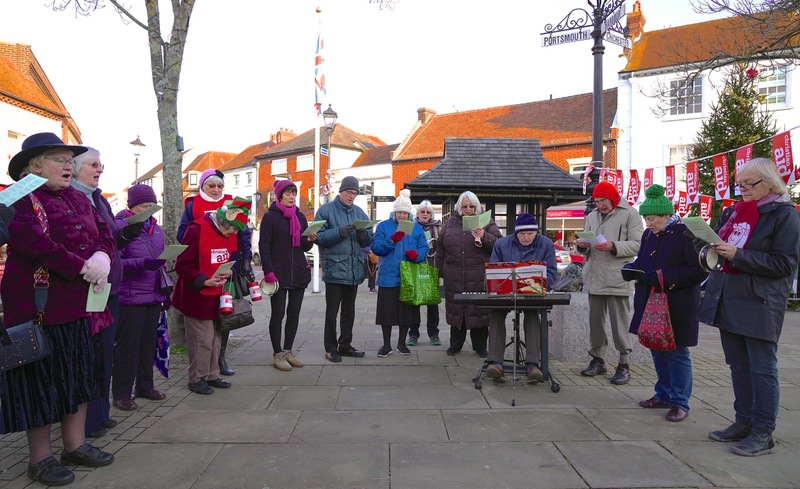 Collections are held in response to Christian Aid appeals at times of international crisis, and regular support is given to the local Christian Aid working party, who organise the house to house collection each May and also arrange a number of fundraising events each year. 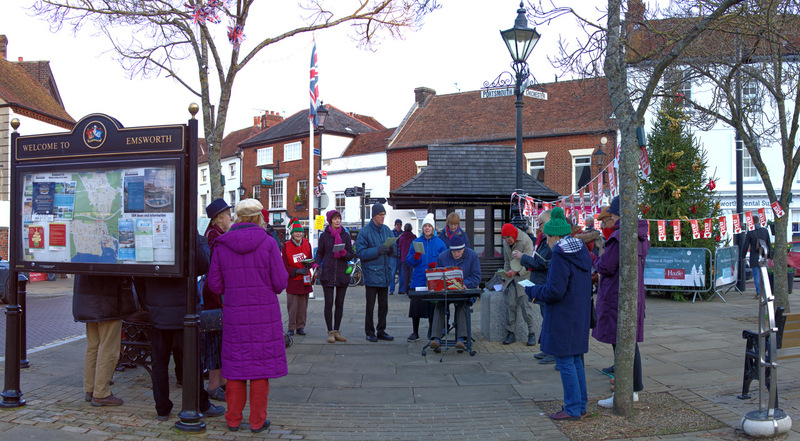 Carol Singing in the Square is an annual event in December. On a very cold day in 2018 a group of people gathered in St Peter’s Square singing Christmas carols. They were from the various different churches in the surrounding area.